« Announcing the new Chair of the CrystEngComm Editorial Board: Pierangelo Metrangolo! The capability of the natural environment to absorb the waste products of human enterprise and industry is being put under great strain by the growth in the world’s population and economy. Environmental remediation – the decontamination of soil, air, and water – and waste stream treatment are of the highest priority. 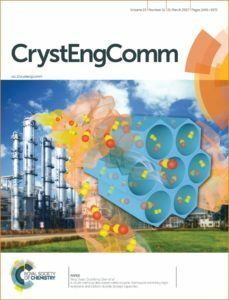 From carbon dioxide capture by MOFs and other porous materials, to the photocatalytic degradation of organic pollutants by crystalline nanomaterials, our new post-publication collection showcases recent work that demonstrates how Crystal Engineering is being applied to solve one of humanity’s most pressing challenges. A new microporous metal–organic framework with optimized pore space and open metal sites has been realized, exhibiting high acetylene and carbon dioxide storage capacities. Four new non-porous copper(I) iodide coordination polymers have been synthesized and demonstrate volatile iodine capture with simultaneous fluorescence quenching. An uncommon microporous MOF 1 used as fluorescent chemosensor for NACs and as photocatalyst. 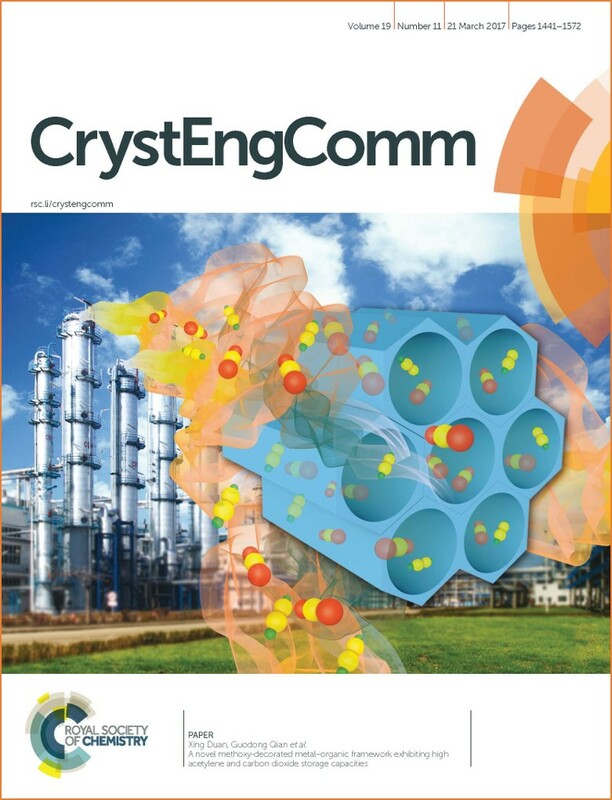 Submit your research or reviews on crystal engineering of materials for environmental applications to CrystEngComm – see our author guidelines for information on our article types or find out more about the advantages of publishing in a Royal Society of Chemistry journal.